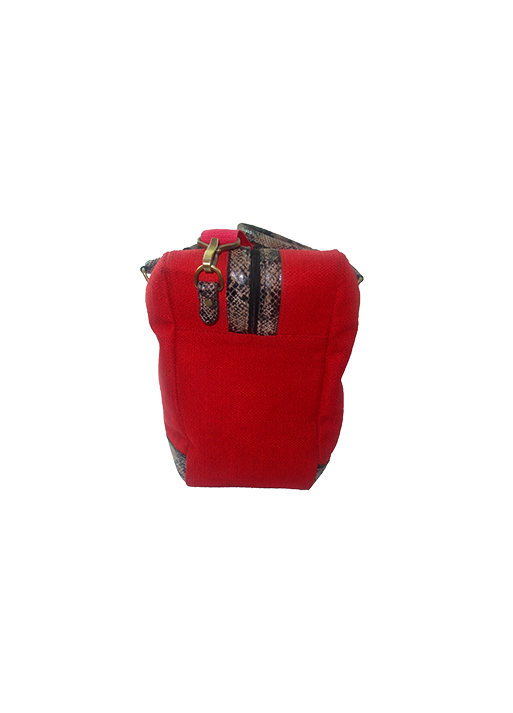 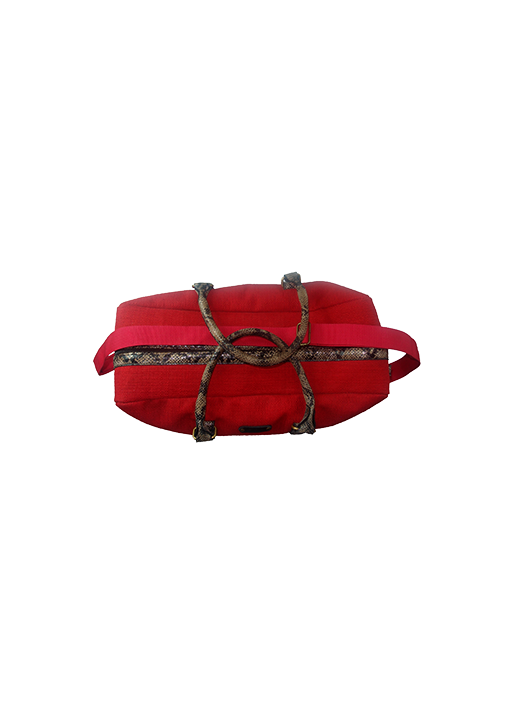 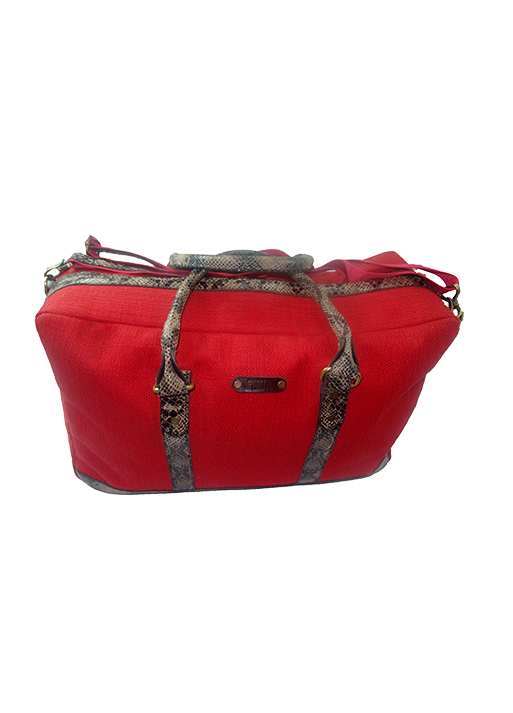 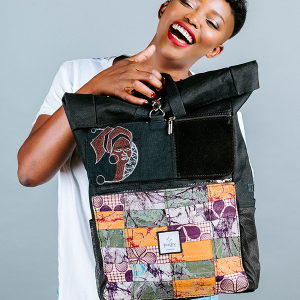 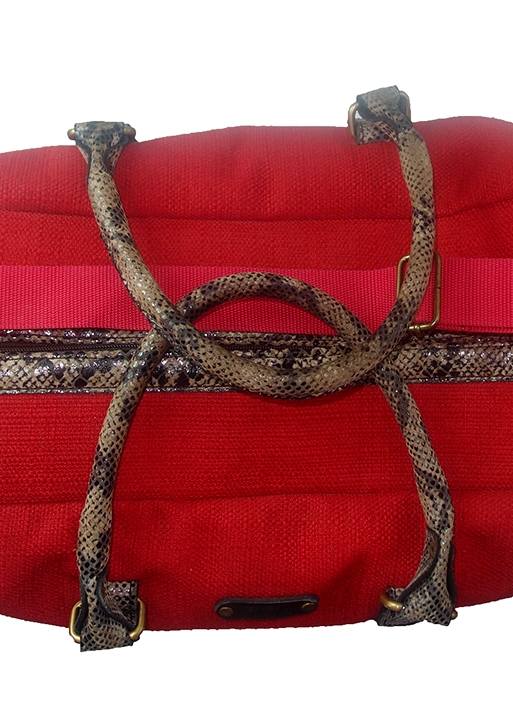 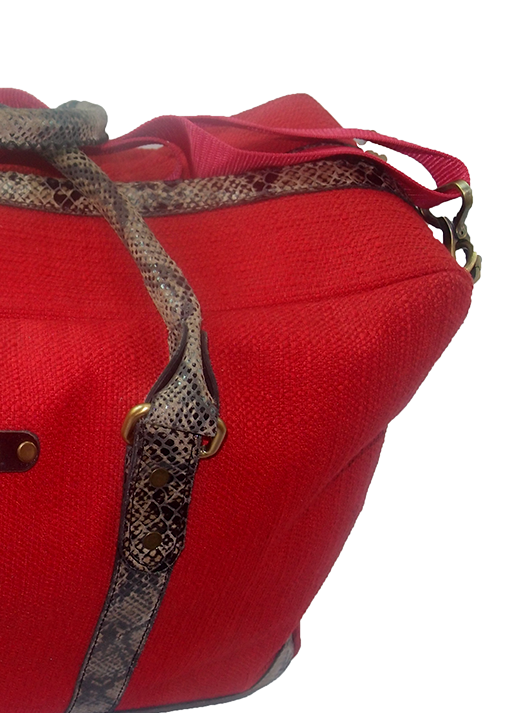 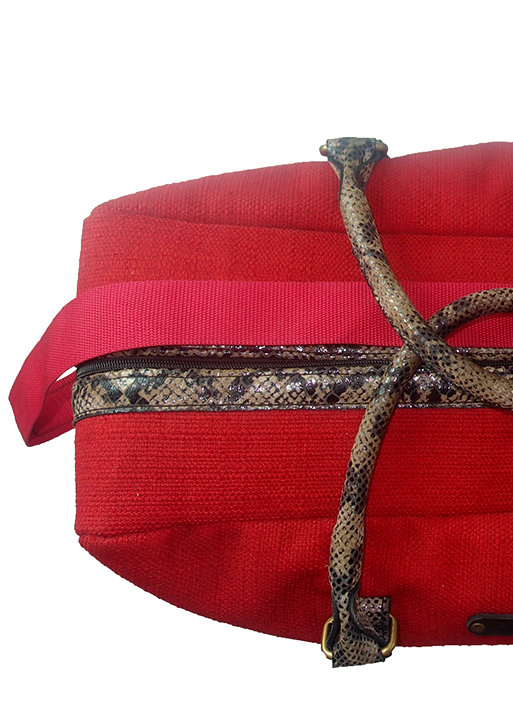 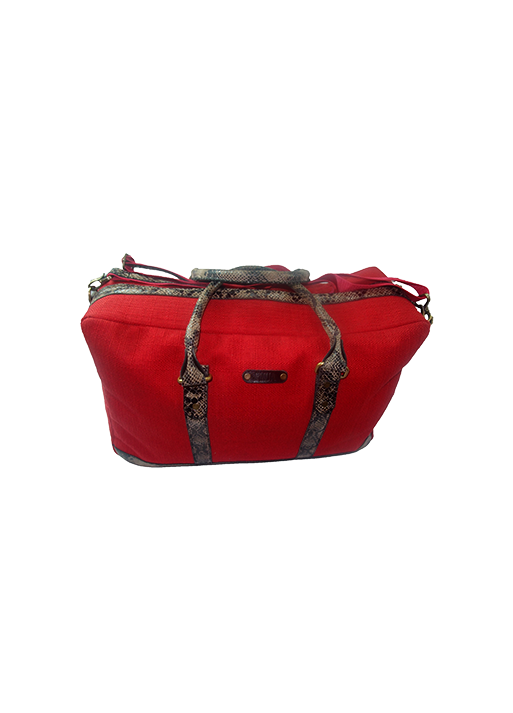 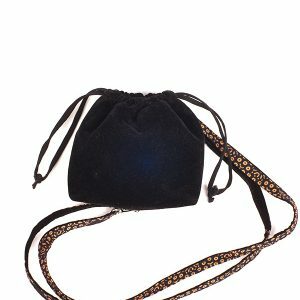 Handmade with love in Nigeria out of red canvas, snake imitation skin straps and metal findings with a zip closure. 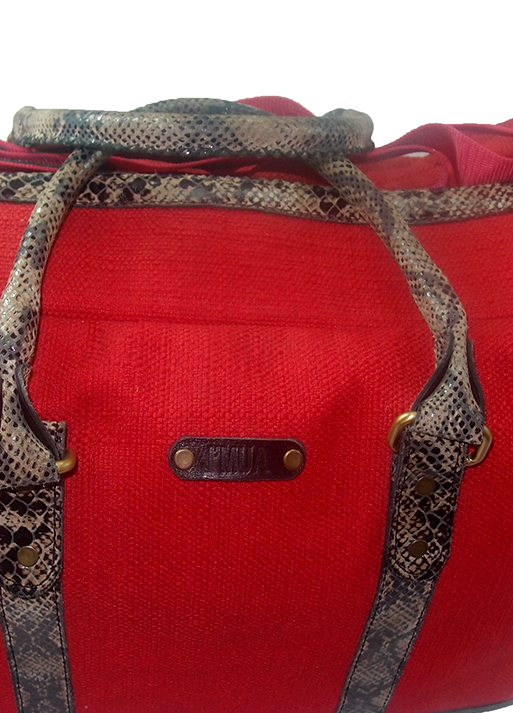 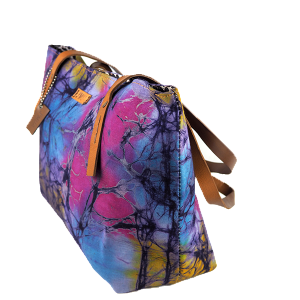 This duffle bag has two side pockets inside. 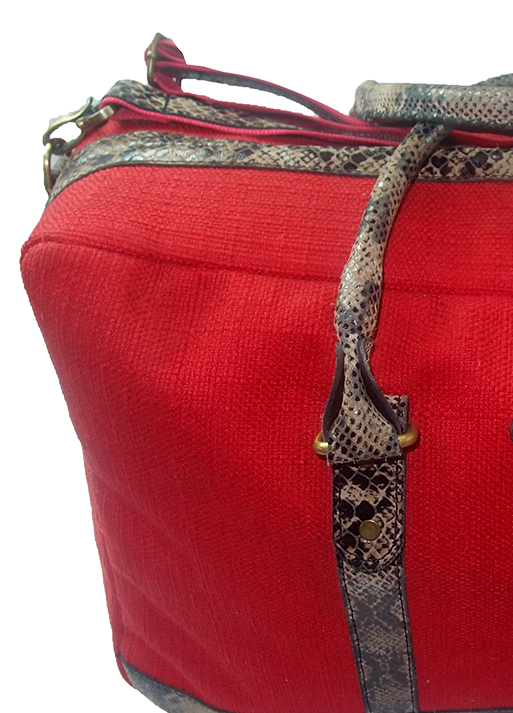 One of the inner pockets has a zip. 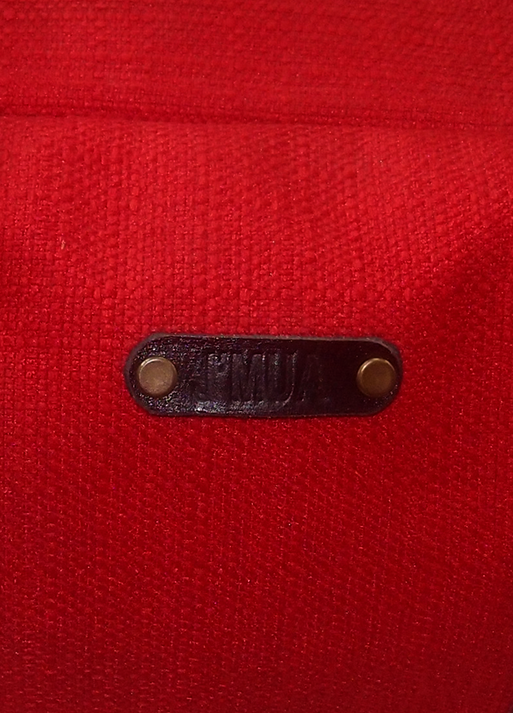 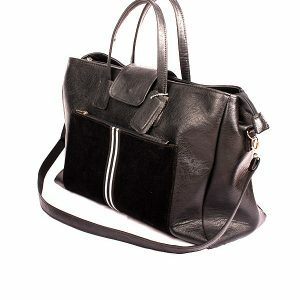 Bag bottom has 4 metal rivets.